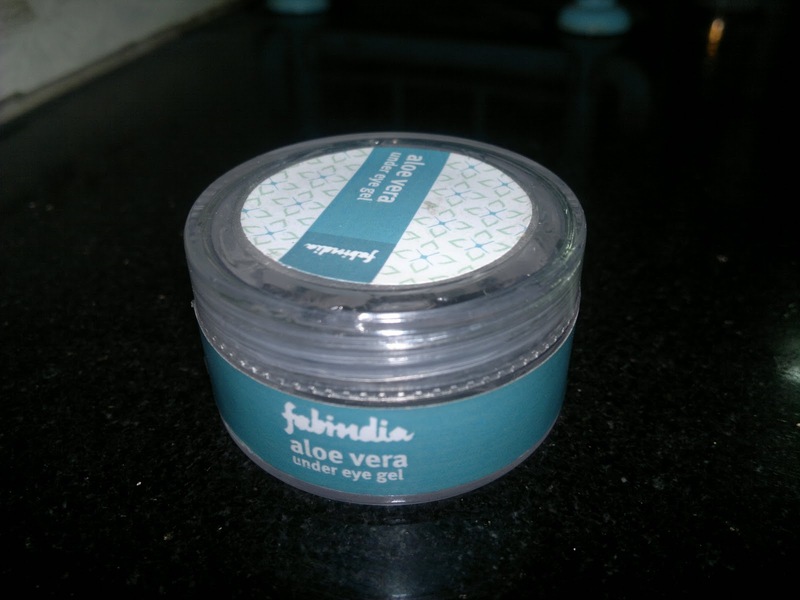 FabIndia Aloe Vera Under Eye Gel: Miracle product for undereye skin? Howdie do? Well, I am sounding a little crazy right now because I am feeling like one. Winters is not one of my favorite seasons and I just hate, mind you hate layering on clothes. It takes around half an hour every morning to get ready, while earlier it used t o take just 10 minutes. Some people totally wait for these moths, like my hubby, but I have always been the summer lovin gal. Enough of this ranting, I am already on a countdown to spring. So, as I sip my green tea, I just wanted to share a new product, which I started using only after I got this as a free gift from urbantouch, the FabIndia Aloe vera under eye gel (they had a surprise gift on every purchase of INR 500). Believe me I have never ever used under eye cream / gel ever in my life. Do I like it?? I have never used an under eye cream or gel ever, even when I got this I was about to give it someone else 'cause I don't have dark circles and I don't believe if any cream or gel could cure them. I think there are a million other things causing them, including sleep deprivation, food habits, genetic factors.. But nevertheless, I tried it on, free products always have that effect on me at least, I never ever get the courage to throw them, maybe gift them, but mostly use them. Price: INR 150 (but I got this for free) for 25 gm of product. As you can see the gel has a tub packaging so you would need to dip in your fingers every time. The gel is transparent in color and initially I used to take a lot more product than required 'cause I could not decipher the amount sticking to my fingers. I have been using this for a month now, and I don't know just how to praise this gel. 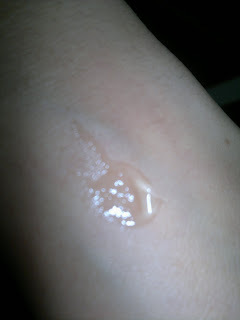 It's transparent, fragrance free, aloe vera, cooling, and does tighten my eye skin a bit upon drying. As, I don't have pronounced dark circles, cannot comment on its effectiveness on those. 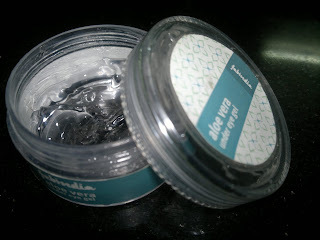 But I just love applying it for the cooling and tightening effect it provides to my eye area. 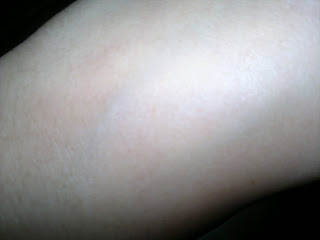 Notice, how the product smoothens, and tightens and brightens the skin a little on absorption. The product does take around 2-3 minutes to get completely absorbed into the skin. But, the good part is that it has never broken me out, nor increased milia around my eyes, cause I have normal to oily, combination skin. After using it for a month, I can say that it has definitely taken care of my eye area. Also, I feel this gel has made my eye area smoother and brighter. I can see less pronounces lines around the eyes also. Also, since I apply eye pencils / eye makeup almost every day, I think I should do something for the skin around eyes as well. This gel has been providing the right nourishment and moisture to my eye area, making it smoother and effective. I would recommend this to everyone looking for a light gel for under eye area nourishment. I wouldn't know about its effect on dark circles, 'cause I don't have those, but otherwise, it is a must have for under eye nourishment. I would rate this product as B+. Now, I guess eye gels would be staple in my skin care regime always and II would like to purchase eye gels from other brands and check out their effectiveness. Also, if I don't find anything better than this, I would surely repurchase it. Have a nice day ahead. Yay, just realized weekend is just round the corner. Oh I hope it works on dark circles..I am an absolute panda...I need under eye gel badly! Hi Varsha, I don't have very prominent dark circles so couldnot measure its effectiveness in that aspect.